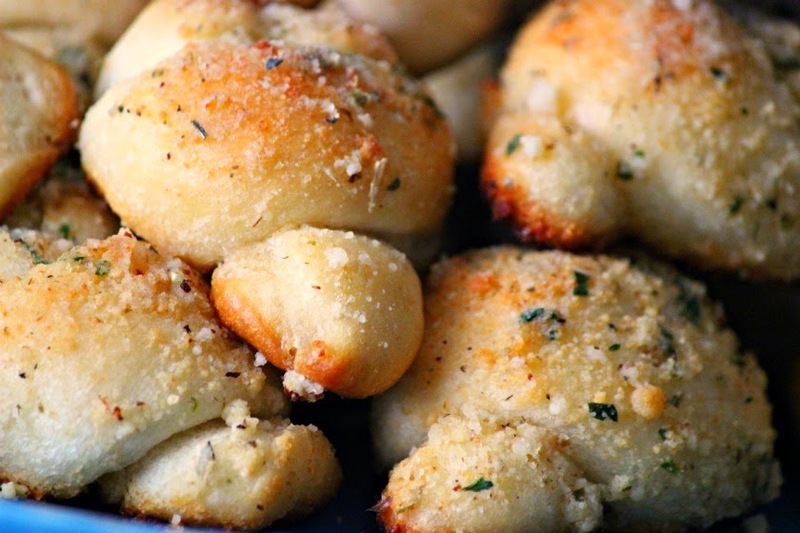 Super easy, fool-proof garlic knots. Biscuit dough makes them fluffy and tender and practically melt in your mouth! You can also use pizza dough if you have some in your freezer. I keep two portions of pizza dough in my freezer at all times since I make homemade pizza once a week. Try them both ways! The garlic mixture is not overwhelming like some garlic knots can be, and I have even made the mixture to sprinkle on top of my pizza! Preheat oven to 400 degrees F. Lightly oil a baking sheet, or coat with non-stick spray. You can also use parchment paper or foil and lightly spray. In a small saucepan, melt butter and add Parmesan, garlic powder, oregano, parsley and salt. Set aside. Halve each of the biscuits, making 16 pieces. Roll each piece into a 5-inch rope and tie into a knot, tucking in the ends. If using pizza dough, follow the same procedure. Remove from oven and brush with remaining butter mixture. Serve immediately with warm marinara sauce or as an alternative to garlic bread with any Italian meal. 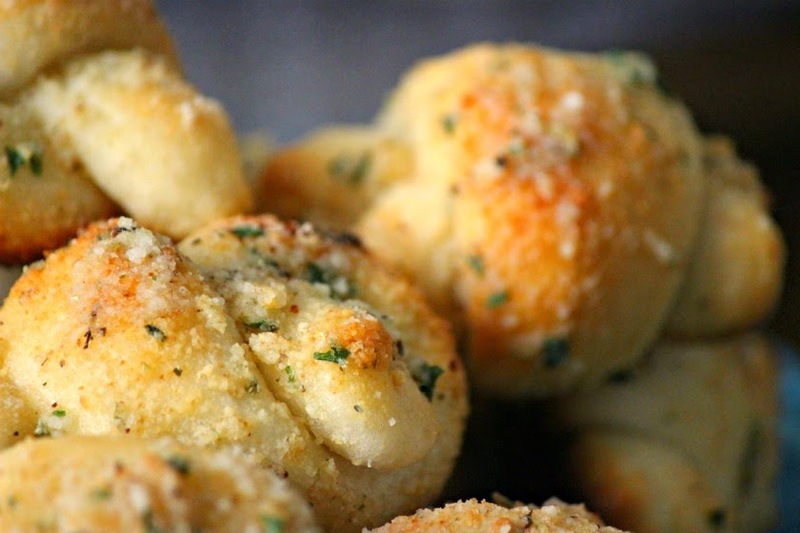 I have always thought about making garlic knots at home since I like them so much at restaurants. Thanks for showing how easy they can be! These take no time at all! I had to make two batches! They are great! OM Gosh I'm so gonna try these Patti! Thanks for sharing Kathy! I'm sure you will love them! congrats on making Foodtv nice job looks amazing!